New images making the rounds via Toys Daily gives a look at an all-new license for Storm Collectibles. The photos features 1/12 Scale Figures of Marcus Fenix and Augustus Cole from the Gears of War series! Multiple companies have taken on the Gears license of the years. From NECA, to McFarlane, to Square Enix. But, these may wind up being the definite versions of the characters as Storm brings their great attention to detail to the Xbox game franchise. 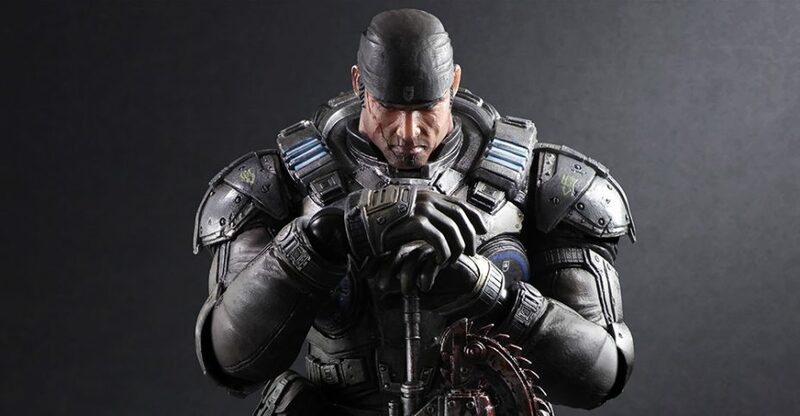 The Marcus Fenix figure will feature three interchangeable heads, interchangeable hands, a knife, and multiple guns. He will be released this June. The Augustus Cole figure is shown with two guns, a knife, and a football helmet. While not shown, interchangeable hands are likely to be included as well. Cole will ship out in August. The figures are apparently priced at $65 each. Check out the available photos by clicking the headline of the story. Bluefin has released full details on the figures. Check out the update after the jump. In Gears of War 4, humanity is trying to rebuild after the devastating war with the Locust. After 25 years, a new, Locust like species begins to abduct entire colonies of people. Known as the Swarm, the creatures begin harvesting humans to form an all new army. New protagonists JD Fenix, Del Walker and Kait Diaz must find the only person who may be able to shed light on what’s happening…JD’s estranged father, Marcus Fenix. As they fight their way through the Swarm, they learn the terrible truth of what is happening. The team must face new challenges, find old friends and make sacrifices all in the hopes of saving all that humanity has built. Since the release of the game, McFarlane Toys has released multiple characters as part of their Color Tops Collection. Earlier figures were very statue-esque in design. With their newest release, Marcus Fenix, fans get a figure that is much closer to what they have been looking for. The figure includes over 14 points of articulation, a Customized Lancer Assault Rifle and Snub Pistol sidearm. 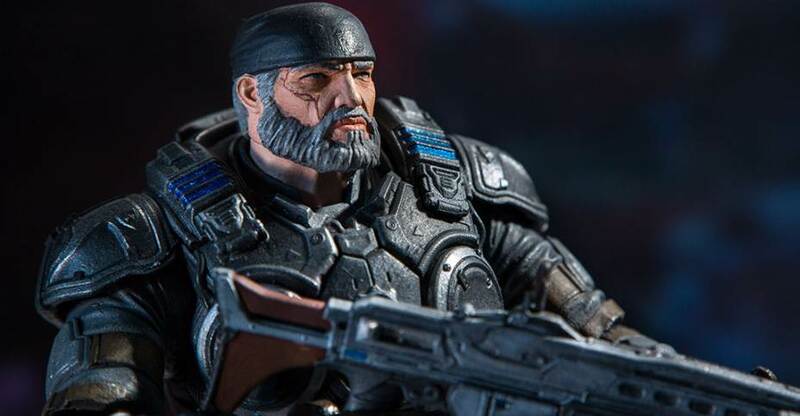 McFarlane Toys sent along the Marcus Fenix 7″ scale figure for us to check out. Read on to see my thoughts as well as a full gallery. At Toy Fair 2017, we got our first in-person look at the upcoming Gears of War 4 – Marcus Fenix 7″ Scale Figure. The figure, part of the Color Tops Collection, will include codes for downloadable content that can be used in Gears of War 4 for the Xbox One. 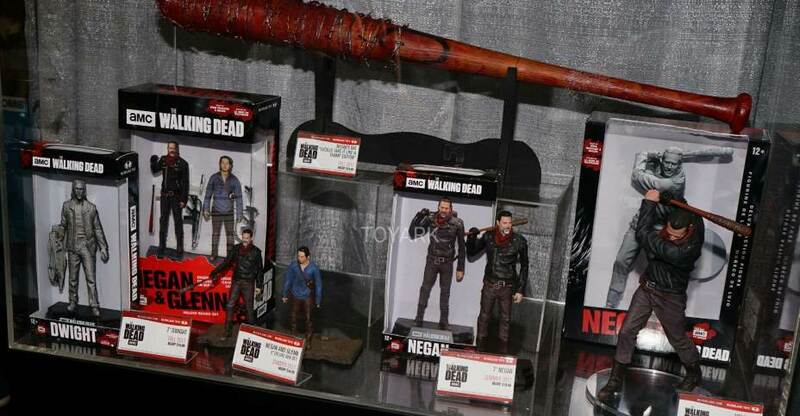 McFarlane has released new official photos of the figure. This figure stands 7 inches tall and comes equipped with Customized Lancer Assault Rifle and Snub Pistol sidearm. Designed with 14+ points of articulation for dynamic posing and includes stylized display base. Figure includes on Gears of War 4 Pack, a downloadable code for unlocking spectacular In-Game content. 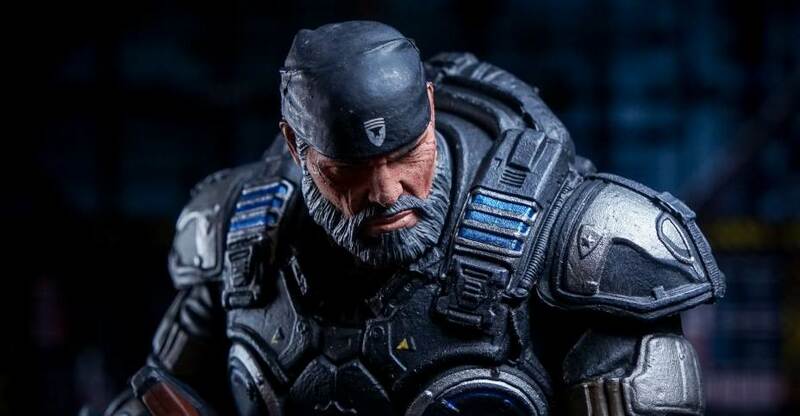 The Marcus Fenix figure is due for release in July. It will be priced at $19.99. Read on to check out the new photos. 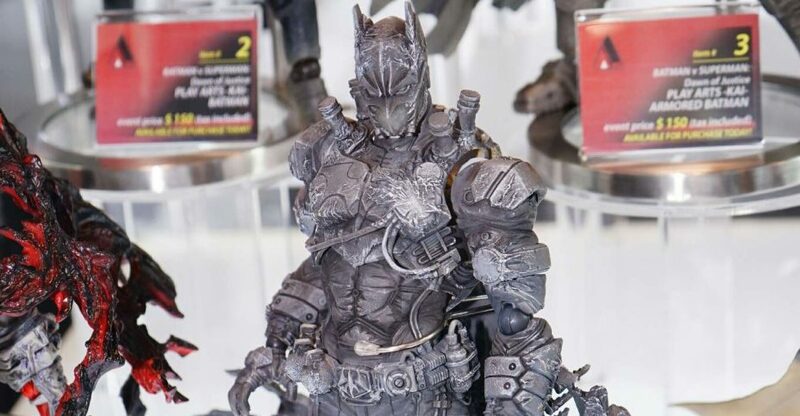 At Toy Fair 2017, we got a look at a number of new figures and licenses from McFarlane Toys. We see the continuation of their Color Tops Collection, as well as 7″ scale figures who do not come in Color Tops style packaging. 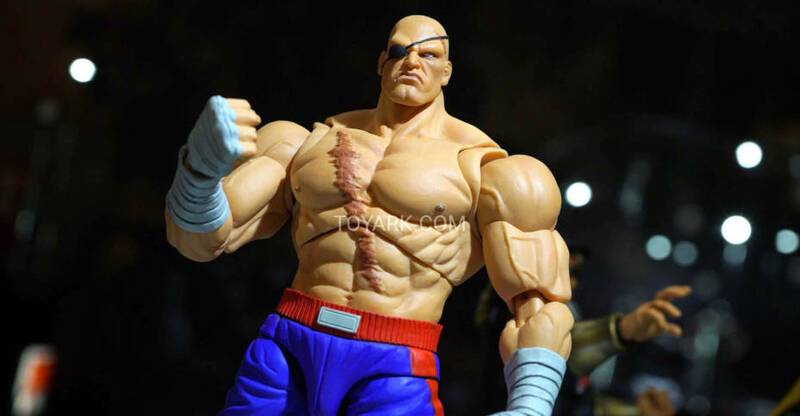 We also have some replicas, 10″ Deluxe Figures and more. Also, fans of articulation are in luck. Our on site crew spent some time with the McFarlane reps. While the current slate of figures have 5 to 8 points of articulation, the next slate of new licenses and ongoing figures will get a significant bump. Due to vocal fan feedback (they confirmed this), they are upping their 7″ scale articulation to between 12 and 16 points as originally intended with Color Tops. There are still a few of the current style to hit, but after those, the articulation will be noticeably boosted. Toyark sponsor Big Bad Toy Store has posted a pre-order and image for an upcoming Gears of War 4 Marcus Fenix. 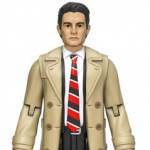 The figure will be part of McFarlane’s Color Tops Collection and will stand at 7″ tall with a figure stand. 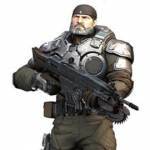 Hero of the Locust War, former Gear, Marcus Fenix finds himself called out of an isolated retirement to aid his estranged son, JD Fenix, to stop the Swarm. This 7” figure of Marcus Fenix features 14 points of articulation for dynamic posing and comes armed with his customized lancer assault rifle and snub pistol sidearm. 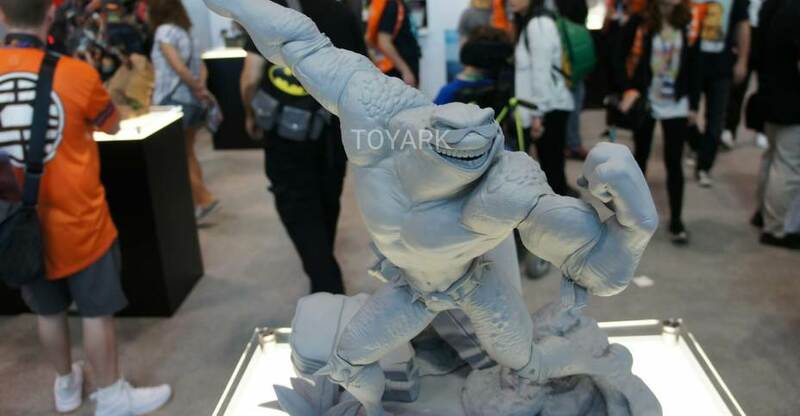 Look for the figure to be released in June. Click the thumbnail for a larger image. Marcus Fenix is scheduled for release in March 2017. The figure is priced at $149.99. You can pre-order it directly from SE by Clicking Here. The new photos can be seen after the jump.